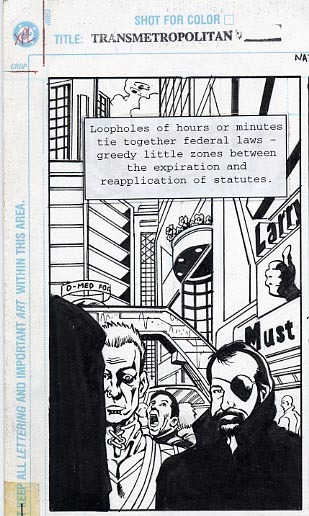 Back in the late 90s and early aughts, I was good pals with Darick Robertson. Time passes, the gears of the clock turn; folks go off into the world and the responsibility of family takes precedence over, say, hypothetically, killing a bottle of whiskey with your friend and talking about making comics better with sharp talon of pen and ninja word powers and sheer dint of enthusiasm. Hypothetically. One of my fondest memories of the last ten years was sitting in the Lucasfilm commissary with Darick and our mutual pal Wes Anderson, back when Mimi was seven months pregnant. Wes and Darick were old dads, by then, and I was a bit of a wreck with the impending. Well, as a bit of a wreck as I get about anything, but, still. They talked me down and through it using nothing but references to space missions and pop culture metaphors. Brilliant gents both. But that was five years gone now, and I only can catch up with Wes via Facebook and Darick there and the chance encounter at San Diego. But it always gives me a grin to write to or hear from the two of them and this last weekend I was playing with my kid in the office as I tidied up and Walker saw a piece of art for the first time. “Daddy, this is awesome!” he cried, and I really had to admit that it was. 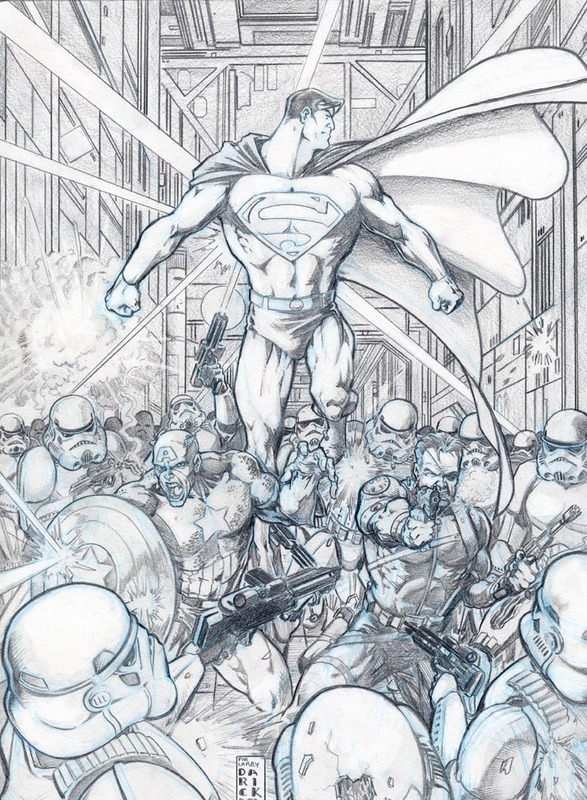 Pingback: Superman & Captain American vs Stormtroopers ! I’m gone to tell my little brother, that he should also pay a visit this weblog on regular basis to take updated from latest information. Meu esposo e eu amamos seu blog e achamos que quase todos seus posts são o que procuro. Você aceita escritores convidados para escrever o conteúdo no seu blog? Eu não me importaria de publicar um post comentando sobre temas você escreve aqui. Mais uma vez, seu site é excelente ! !